Doc Watson, flat-picking legend, dead at 89. Above: Doc Watson discusses his son Merle’s musical influences, and then Doc & Merle play “Make Me A Pallet” and “Streamline Cannonball.” From the DVD “Doc & Merle Watson In Concert. Below, picker’s Nirvana with Leo Kottke, Chet Atkins, and Doc, all on “Last Steam Engine Train”. Arthur Laffer, architect of Ronald Reagan’s economic plan, spells out his case for a tax on carbon to replace taxes on income. As a longtime champion of conservative causes, renowned economist Arthur B. Laffer says he’s officially neutral in the debate over climate change. But he sees a fundamentally backward system in the United States that imposes taxes on things people want more of: income and jobs. At the same time, the U.S. allows something we want less of — carbon dioxide pollution — to be emitted without penalty. Laffer says that situation should be reversed. Instead of tax increases that are “veiled as ‘cap and trade’ schemes,” Congress should offset a simple carbon tax with a reduction in income or payroll taxes. Below, former Republican Congressman Bob Inglis further explained the conservative case for carbon action in an interview from a few months ago. CO2 Soon to Bat 400. It’s been a Long, Long Time since we’ve seen that. CO2 continues its relentless rise. Levels of 400 parts per million (ppm) are now being consistently measured above the arctic. The rest of the planet is following. The video above, a classic from the Climate Crocks archive, fleshes out the longer history of atmospheric CO2, and its influence on global climate. WASHINGTON — The world’s air has reached what scientists call a troubling new milestone for carbon dioxide, the main global warming pollutant. Monitoring stations across the Arctic this spring are measuring more than 400 parts per million of the heat-trapping gas in the atmosphere. The number isn’t quite a surprise, because it’s been rising at an accelerating pace. Years ago, it passed the 350 ppm mark that many scientists say is the highest safe level for carbon dioxide. It now stands globally at 395. It’s been at least 800,000 years — probably more — since Earth saw carbon dioxide levels in the 400s, Butler and other climate scientists said. Actually, a bit longer than that. The most commonly cited measures of atmospheric CO2 are those contained in Antarctic ice cores, which, so far extend about 800,000 years back. Several years ago, a team from UCLA actually pushed the credible measurements back quite a bit further, using isotopic analysis of shells in deep sea sediments. You would have to go back at least 15 million years to find carbon dioxide levels on Earth as high as they are today, a UCLA scientist and colleagues report Oct. 8 in the online edition of the journal Science. “The last time carbon dioxide levels were apparently as high as they are today — and were sustained at those levels — global temperatures were 5 to 10 degrees Fahrenheit higher than they are today, the sea level was approximately 75 to 120 feet higher than today, there was no permanent sea ice cap in the Arctic and very little ice on Antarctica and Greenland,” said the paper’s lead author, Aradhna Tripati, a UCLA assistant professor in the department of Earth and space sciences and the department of atmospheric and oceanic sciences. “Carbon dioxide is a potent greenhouse gas, and geological observations that we now have for the last 20 million years lend strong support to the idea that carbon dioxide is an important agent for driving climate change throughout Earth’s history,” she said. By analyzing the chemistry of bubbles of ancient air trapped in Antarctic ice, scientists have been able to determine the composition of Earth’s atmosphere going back as far as 800,000 years, and they have developed a good understanding of how carbon dioxide levels have varied in the atmosphere since that time. But there has been little agreement before this study on how to reconstruct carbon dioxide levels prior to 800,000 years ago. 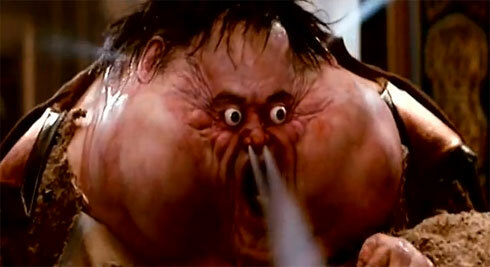 I bumped into Marc Morano early on at last week’s Heartland Institute Denia-palooza. Much to my surprise, despite the fact I’ve lambasted him a number of times in videos, he readily agreed to an interview. A fixture on the Fox News/right wing radio anti science circuit, former advisor to Senator James Inhofe, or as I like to call him, Senator “I’m not in denial but there have never been any gay people in my family” Inhofe, Morano touched on a variety of topics, but a particular message came thru, which he repeated in his address to the group later in the day. That is, he does not trust Mitt Romney. Well, there – something we have in common. There was quite a bit more to the interview, which I may post in coming days. By the way, if you want to give Morano, and Heartland, even more to worry about, consider signing the “Push Button, Save Planet’ Petition from Climate Reality – which will send a message to President Obama, supporting the EPA’s regulation of carbon pollution. Mother Jones further confirms what Marc Morano was fuming about above. Nobody can tell what Mitt Romney thinks about climate. As governor of Massachusetts, Mitt Romney championed what he called a “no regrets” policy on climate change. He came into office vowing to eliminate the state’s SUV fleet and to close its dirtiest power plant. In 2004, his administration outlined a sweeping long-term vision for cutting the state’s emissions, improving efficiency, and promoting sustainable development that was considered among the most aggressive in the country. That was then. As with his positions on other hot button issues, Romney’s stance on global warming shifted after he started making plans to enter the 2008 presidential race. He went from stating that global warming is real and “human activity is a contributing factor” to declaring “we don’t know what’s causing climate change.” So what does the presumptive GOP nominee really believe? And how would he address climate change if elected president? One person who may well know is Gina McCarthy, who Romney tapped for top environmental posts in Massachusetts. But these days she’s not talking—presumably because she’s working for President Barack Obama as a top-ranking political appointee at the Environmental Protection Agency. Yes, Romney once handed his state’s environmental portfolio to a woman who now handles climate change matters for Obama. As the assistant administrator for the Office of Air and Radiation, McCarthy is the top air quality regulator in the Obama EPA. In that post, she has been behind some of the administration’s toughest policies to cut greenhouse gas emissions, smog, and mercury pollution. A Boston native, McCarthy worked under four previous Massachusetts governors before Romney. Shortly after taking office, he elevated her role, promoting her to undersecretary for policy at the Executive Office for Environmental Affairs. When Romney combined that agency and others into a “super agency” known as the Office for Commonwealth Development, he chose McCarthy to serve as its deputy secretary of operations. Solar Grid Parity Inevitable. Who’ll be the Leader in this Disruptive Technology? Remember back in the early 90s, when Rush Limbaugh and the right wing noise machine made relentless fun of “Al Gore and his Information Superhighway”? Remember how prescient that turned out to be? – as the internet went on to become a disruptive engine of prosperity, so much so, that its hard to remember what the world was like before there was one? That’s sort of where we are with solar energy right now. Yesterday’s news about new solar records in Germany gives some indication of how this is going to play out in the near future. ..soon investing in solar energy will no longer be high-minded, it will just be economic common sense. By 2017, even if you don’t count all the damage hydrocarbons do to the atmosphere, solar power will reach grid parity with them. That is, it will be economically competitive to put in a solar plant instead of a coal one. (In some areas of the US, solar grid parity will be reached in 2014). Of course if you factor in the health and climate damage caused by CO2 and other dirty emissions, solar is already much cheaper than hydrocarbons. In the US, solar PV technology is expected to reach grid parity for some PV projects in 2014, and by 2017 most regions in the country are expected to reach grid parity in alignment with average electricity prices in the residential sector. China is also due to witness similar developments, with grid parity for solar expected to reach in most regions by 2015-2016. Levelized cost of electricity (LCOE) is the price at which electricity must be generated from a specific source to account for the cost of the energy-generating system. The LCOE for solar PV will continue to decrease due to declining capital costs and increasing capacity factor. These factors, combined with a lack of fuel costs, low operations and maintenance costs mean that the LCOE of solar PV technology is expected to be lower than average retail electricity prices from 2017 onwards. Solar PV is a major renewable source of energy across the globe, accounting for around 14% of the global renewable capacity. It is also the fastest growing renewable power source in the world, having grown at a compound annual growth rate (CAGR) of 56.4% over the past five years. 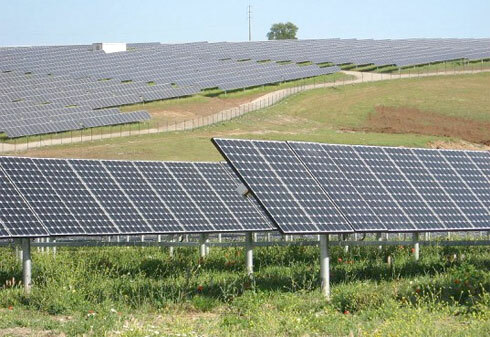 The global solar PV market witnessed high growth in 2010 and 2011, with 44.3 gigawatts (GW) of installed capacity coming online in these two years, in contrast to the 14.8 GW installed during 2008 and 2009. With the UK taking another step towards supporting new nuclear power on Tuesday – at either no extra cost to the consumer if you believe ministers, or substantial cost if you believe most others – it’s worth taking a look at what actually happens when you phase out nuclear power in a large, industrial nation. That is what Germany chose to do after the Fukushima nuclear disaster, closing eight plants immediately – 7GW – and another nine by 2022. The shrillest critics predicted blackouts, which was always daft and did not happen. But more serious critics worried that the three things at the heart of the energy and climate change debate – carbon, cost and security of supply – would all head in the wrong direction. Here in Berlin, I have found they were wrong on every count. On security of supply, critics predicted that Germany would have to import energy to make up that lost by the closure of the nuclear plants. It’s an important issue for a nation that imports 70% of its energy. But what actually happened is that Germany simply exported less in 2011: 7TWh instead of 70TWh. “We are still a net exporter,” says Franzjosef Schafhausen, a senior civil servant. This was helped by a large decrease in energy consumption of 5.3% in 2011, delivered by big increases in energy efficiency in buildings, homes and industry, as well as in part a milder winter. Aha, I hear you say, but Germany’s economy must have shrunk as well: it grew by 3%, in rather stark contrast to double-dip Britain. Cutting energy use naturally cuts the carbon dioxide emissions that drive climate change, as did the increased deployment of renewable energy. In 2011, Germany’s emissions fell by 2%, confounding those who predicted a rise if nuclear was replaced by coal. Some was, but 60% of the lost nuclear capacity was replaced by renewable energy in a single year. And remember, even if carbon emissions had risen a little in Germany, the total emissions in Europe – capped by the emissions trading scheme – would remain the same. Germany also remains well on track for its 40% emissions cut by 2020. 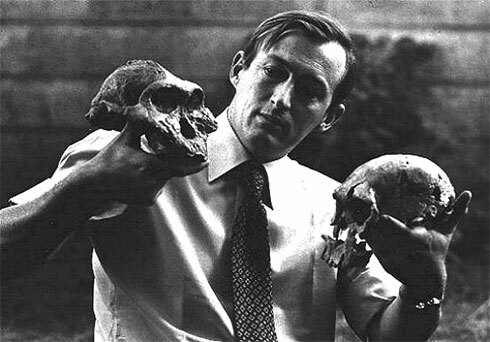 Richard Leakey: Evolution is Real, despite Denial. BTW, same with Climate Change. As climate deniers more and more form alliances with science denial across the board, fossil expert Richard Leakey reminds us that the battle against science denial crosses many disciplines. Truth, however, knows no boundaries. 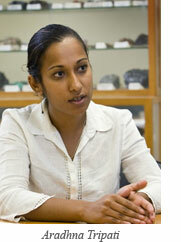 “We are all African.” Well, that kind of gets to the root of science’s problem, doesn’t it? Any questions about why both evolution and climate denial are concentrated in the old confederacy? See? Shape reality to fit your paradigm. It’s the Heartland way. Anyhow, back to Leakey…. Any hope for mankind’s future, he insists, rests on accepting existing scientific evidence of its past. “If we’re spreading out across the world from centers like Europe and America that evolution is nonsense and science is nonsense, how do you combat new pathogens, how do you combat new strains of disease that are evolving in the environment?” he asked. Leakey insists he has no animosity toward religion. “If you tell me, well, people really need a faith … I understand that,” he said. And, hey, just a quick note. Although I’m hard on fundy nutjobs from time to time, I have no problem with anyone’s religion. Sermon on the Mount? Do unto others? Reap what you sow? I’m all about it. Bring the compassion, keep the crazy, and we’ll get along fine.